Although Lite PDF Reader is introduced to users as a free PDF reader, our research team has found that this program does not function very well. In fact, if you open the file, the reader does not work at all. Instead, you need to launch the program and then open the file via it for it to work. Needless to say, the fact that the application is not very useful is a good enough reason to delete it from your operating system. Unfortunately, it is not the only one. 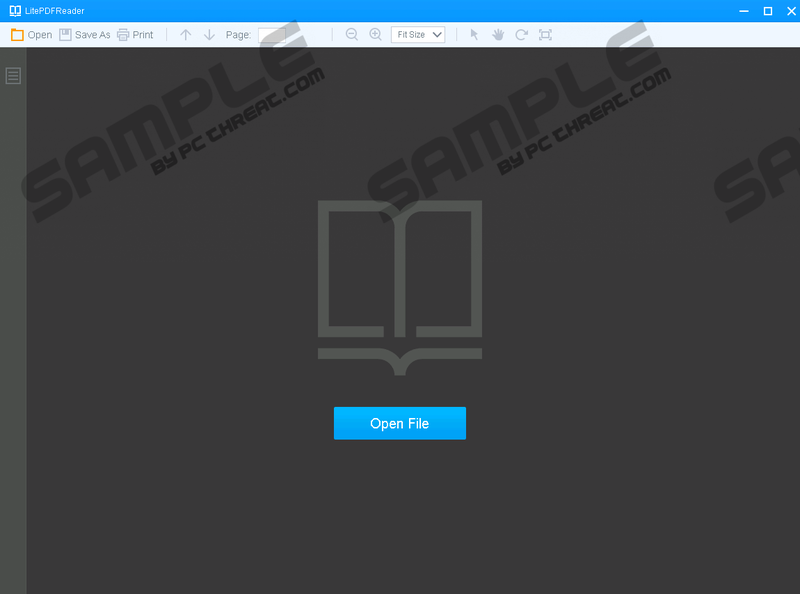 Officially, this text reader is classified as a potentially unwanted program, and while it is not the most dangerous or malicious piece of software you are likely to encounter in your lifetime, it is recommended that you remove Lite PDF Reader. If you are interested in that, this is the report you need to continue reading. If you do, you will not only learn about the elimination of the PUP but also the reasons why that is something you need to take care of. Make sure to leave your questions in the comments section below if any of them are left unanswered. Have you downloaded Lite PDF Reader from litepdfreader.net? Considering that the potentially unwanted program is introduced in an attractive manner, it is possible that users could find this official download source. Users are also likely to encounter the PUP when interacting with software bundles. Have you downloaded the suspicious application using an installer that you found on a suspicious site or that was introduced to you via a strange pop-up? Interacting with unknown, unpredictable software installers is always dangerous because they might be set up to introduce you to malware. Even if you think that you have downloaded Lite PDF Reader – or any other suspicious program – on its own, malware might have slithered in without your notice. Since that might be the case, we recommend installing a malware scanner. Choose a legitimate and up-to-date malware scanner, and you will find whether or not you need to worry about the removal of any other unknown threats in no time. It goes without saying that all threats uncovered by the malware scanner must be deleted. You can be completely inexperienced and still be capable of deleting Lite PDF Reader because it is enough to uninstall this undesirable application via the Control Panel. If you are not familiar with the process, you can follow the instructions below. Of course, you cannot forget about other infections if they exist too. Install a reliable malware scanner and perform a complete system scan to check if you are dealing with other threats. If the threats unveiled by the tool are very complicated, and you will not be able to delete them manually, installing an automated anti-malware program is recommended. You should not hesitate to install software capable of automatically removing Lite PDF Reader along with other threats and, most important, protecting your operating system against harmful infections in the future. While this PUP is not incredibly dangerous or malicious, there are thousands of threats that are much more malicious, and you need reliable protection against them. Simultaneously tap keys Win+R on the keyboard to launch RUN. In the Control Panel menu move to Uninstall a program. Right-click and Uninstall the undesirable application. Click the Start menu icon on the left of the Taskbar. Click the Control Panel icon to access the menu. Click the undesirable program once and then select Remove. Quick & tested solution for Lite PDF Reader removal.